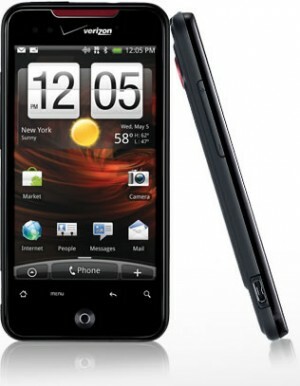 HTC Droid Incredible Review - Learn everything you need to know about the HTC Droid Incredible before you buy. Someone who doesn't like an awesome phone experience. This phone is a great experience and is probably the best Android phone on the market. With a typical 3.7 inch screen, and a resolution of 480 x 800, the phone's display is nothing to brag about, but what it lacks in screen it makes up for in the user experience. 8 gigs of internal storage, with a possibility to expand to 40, provide plenty of room for most typical smartphone users. Likely to be the best Android experience on the market right now (for only $150 with a new contract), the Incredible gives the iPhone and HTC EVO a run for its money. The Incredible is not your normal looking smartphone. HTC says they were going for a race car look when they designed the phone. The back has 3 tiers and the phone comes in a matte black look; not made out of your typical industrial plastic or metal. You might think the tiered design would make it more bulky, but at half an inch thin, it competes with most other smartphones on the market. The front looks pretty typical with an optical trackpad and 4 touch sensitive buttons-Home, menu, back and search. The camera on this thing is pretty awesome. At 8 megapixels with a flash, it takes great pictures and decent video. You can't record in HD but the quality is still pretty good. The pictures however, are outstanding for a camera on a phone. The music player saw some great improvements, as well as the social networking experience. The Android social experience uses an app called Friend Stream that compiles all of your social feeds into one place. Another great feature on the phone is the 7 home screens that are available with different widgets on each. You can access these by pinching anywhere on the home screen and selecting the one that you want. This maybe the most disappointing aspect of the phone. It has a dismal 146 hours of standby time and only 313 minutes of talk time. That's only 5 hours! The phone could definitely use some improvement in this area, as it is nowhere close to competing with other smartphones. It has built in wi-fi, GPS, Bluetoothâ€¦all standard fare. The best part of the phone, not necessarily an additional feature per se, is the user interface. Engadget actually says, "In many ways it's superior to what Apple and Palm are offering." That's a big deal. So, if you are looking for a great user experience, something comparable to the iPhone or EVO and some really cool, well working features, this may be the phone for you. "Just like PaceButler I'll make this easy, quick, and efficient. I printed a label, sealed my phone in a small box, fedex picked it up, and I received a check for the exact amount I was quoted well within 5 business days. Would I recommend this company? Yes. I will most certainly be using them again myself. " "Our experience with PaceButler was friendly with a fast turnaround. We had no issues. The process was "a no brainer". I recommend Pace Butler to anyone. A Company you can count on. Thank you PaceButler "We have you on file.""